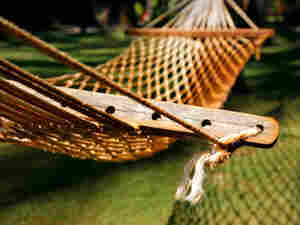 Hammock Jams: Party In Your Backyard The next time you gather up close friends (or, better yet, load yourself into a hammock with a loved one while keeping a pitcher of iced tea within arm's reach), let these five songs set the tone. Each exudes some form of contentment, whether in the form of a well-placed string section or words that set a happy scene. There are many ways to measure a party's success, from the number of guests to the lateness of its conclusion, but nothing beats a small, good-natured backyard gathering. With a small cadre of smack-talking friends, a sizzling grill and a deck table buckling under the weight of empty beer bottles, a low-key backyard party combines the rush of socializing with the comfort of home. These five songs provide the perfect accompaniment to that comfort; each exudes some form of contentment, whether in the form of a well-placed string section or words that set a happy scene. The next time you gather up some close friends — or, better yet, load yourself into a hammock with a loved one while keeping a pitcher of iced tea within arm's reach — let these songs set the tone. 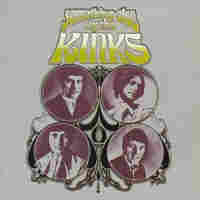 The prototypical hammock jam, this 1967 Kinks classic has every ingredient a pop song needs: a sense of place, lovers' names, sweet harmonies, and a bittersweet undercurrent of yearning. It's not hyperbolic to say that "Waterloo Sunset" is the perfect song -- it's certainly perfectly winning, with an intoxicating sweetness that's impossible to resist. To listen is to be transported to a magical locale for three minutes. What more does your backyard need? 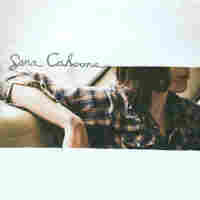 Sera Cahoone remains one of the foremost purveyors of hammock music: the sonic equivalent of a soothing foot rub, or a cold drink on a hot day. As with Charlemagne's "Your Scars," "Couch Song" alludes to a bit of distress and complication -- "If we don't talk, I won't mind / 'Cause it's the only way to get along sometimes" -- but it's all in the context of sitting back, letting go and enjoying a night of respite and optimism, in spite of it all. The right low-key party music is hard to find, especially if you need something that isn't instantly recognizable and won't alienate any of the hipsters you've accidentally invited. 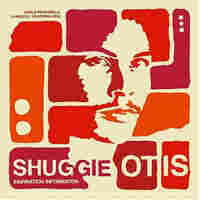 The ideal fusion of accessibility and relative obscurity, Shuggie Otis' Inspiration Information -- the second record on this list from 1967 -- was reissued a few years back, after OutKast extensively sampled its catchiest song, "Strawberry Letter 23," in the hit "Ms. Jackson." Laid-back, funky and a little odd, Inspiration fades agreeably into the background while infusing your party with sweet soul. "I like it when you come around / Out comes the table," Carl Johns sings as a way of opening Charlemagne's warm 2005 ode to commiserating with friends. But as easygoing as "Your Scars" is, it's really a song about recuperating from hardships: "When you sit down for a meal / you remember to heal." With its jangling guitars and sweet boy-girl harmonies, "Your Scars" has healing properties of its own. 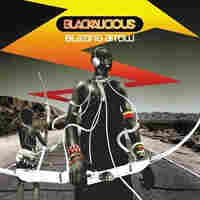 An endlessly good-natured and optimistic laundry list of the things that make us happy -- childhood memories, music, love, money, shelter and so on -- Blackalicious' "Make You Feel That Way" is one of the most life-affirmingly sweet hip-hop songs in existence. 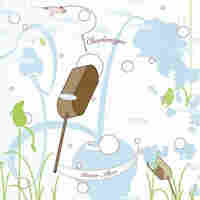 Moving at the speed of slow-burning jazz, the song celebrates the things we have, the things we wish we had, and the way we find contentment in the things that matter.